And I don't know what an Emmylou Harris album has with Sherry Fiester's fascinating book , Enemy of the Truth. The book is a forensic anyalyst's look at some of the known aspects of the JFK murder. And the recommendation is a "country" album. Huh? PS, note the uncomfortable abbreviation of Enemy of the Truth's subtitle. 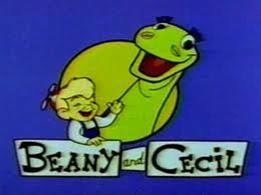 I loved watching Beany & Cecil cartoons as a kid. I guess you could say I was part of their “second wave” of fandom, because I ONLY knew them from cartoons. 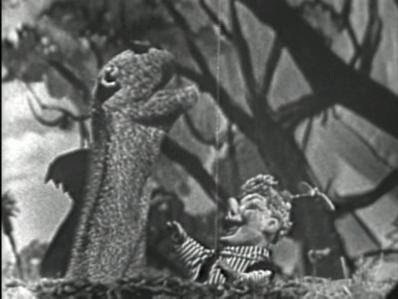 As a kid I had no idea that they started out as puppets. 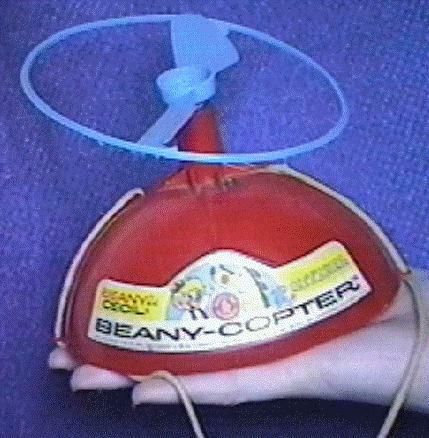 One luxury of my childhood, though, was that for my birthday I got an official Beany-Copter. Now, do you see that hollow space in the center of the propeller? The propellers originally had caps that fit over this little cavity. This small hollow space was to put secret messages into. You set the propeller onto the top of the hat and turned it clockwise two or three times. There was a ratcheting spring inside, and you could hear it click-pop every quarter-turn or so. Then you put your Beany-Copter on your head and pulled the chin-string. This released the propeller, which zoomed into the air and probably landed on your neighbor’s roof, never to be seen again until the next windy day. I can still remember the zip-click-whir sound made when you had your Beany-copter on and yanked the string to let the propeller go! And, yes, children, it was typical to have commercials that ran for one full minutes, not ten or fifteen seconds.